MORE than £100,000 worth of cash and jewellery have been stolen in a safe from a Leith flat. The apartment in Constitution Street, between the junctions with Bernard Street and Tower Street, was broken into earlier this week. A large metal safe, containing cash in both pounds and dollars and distinctive pieces of jewellery, was found to have been stolen. 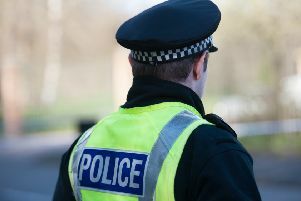 PC David Smith of Edinburgh’s Community Investigation Unit said: “The contents of the safe are believed to be collectively worth a six-figure sum and this is currently being treated as a targeted theft. “The stolen safe weighed over thirty stone and is likely to have taken several people to move and, we believe, may have been take from the property in another item, such as a suitcase.